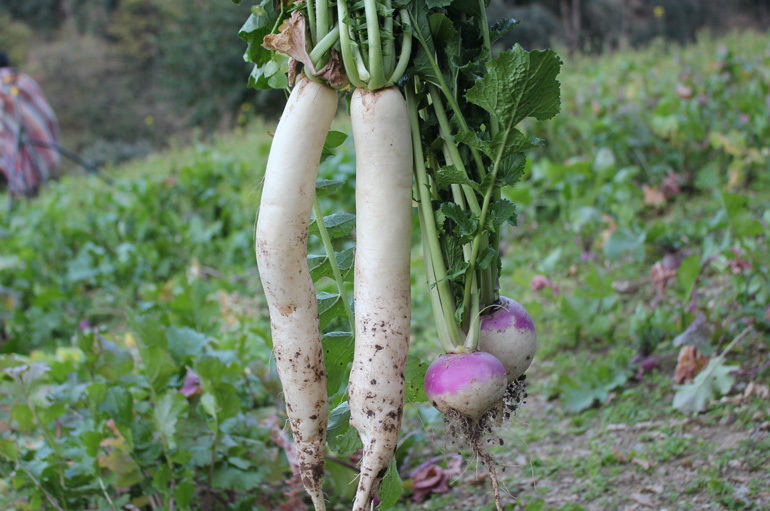 Truly speaking turnips have never enjoyed the limelight most vegetables enjoy. They have never been appreciated for being a very versatile winter food. Personally, I love turnips for its sweet and wholesome taste, and for one special reason. I had won 1st prize for my enactment as the farmer from the children’s fairy tale ‘The Giant Turnip’ as a small kid. Good memories are life’s treasure that makes you happy every time you recollect them. My love for this veggie grew even more when I witnessed the Rabechilbi Turnip Festival in Switzerland. It is an absolutely gorgeous spectacle of light-and-turnip. I was in Europe for a business meeting few weeks back. Once it concluded, I stole some days to wander in the beauty of the Alps. A visit to the largest turnip festival in Europe – was one of the many suggestions I received while chalking an itinerary for my travel. As part of Shimla Hills my fascination for food, especially fresh vegetables and fruits comes naturally. But my love for turnip added fuel to fire, and flared my interest and curiosity for this festival. Approximately 26 tonnes of carved turnips are chiselled to resemble everything from roses, patterns, stars, moons and to what not. Once fully hollowed and carved, a small candle is placed inside to make a turnip lantern which represents season’s warmth. It then becomes part of an annual parade which has been organised in Rabechilbi since 1905. Undeniably mesmerising, I was lucky to be there and witness this special tradition. 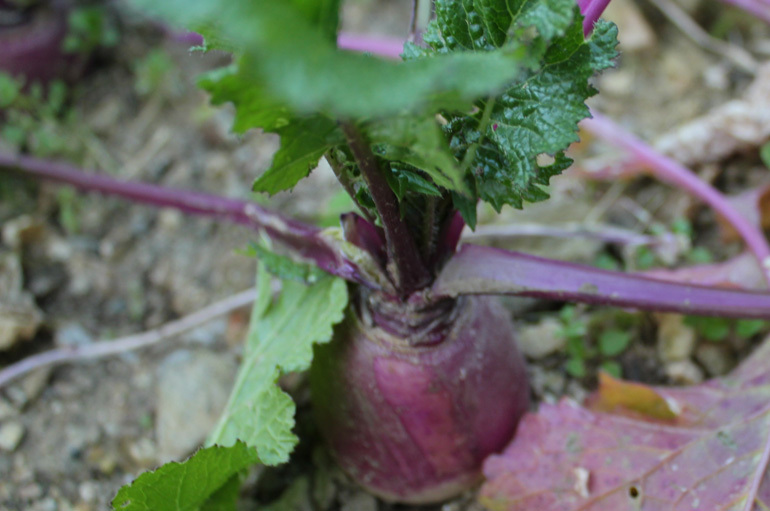 It is common for people to confuse turnip with rutabaga, but the two have notable differences. Rutabaga is tough and large with waxy outer skin. 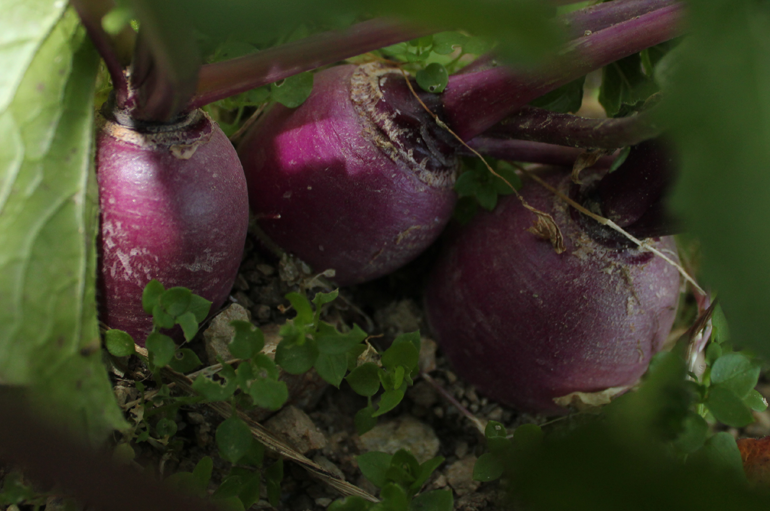 Turnips on the other hand have delicate texture, sweet taste and hints of purple on its upper half part. They grow on soft, slightly acidic soil with pH ranging between 6.0 – 6.5. Wooden ash sprinkled on soil in moderation proves beneficial as fertiliser and saves seedlings from frost. 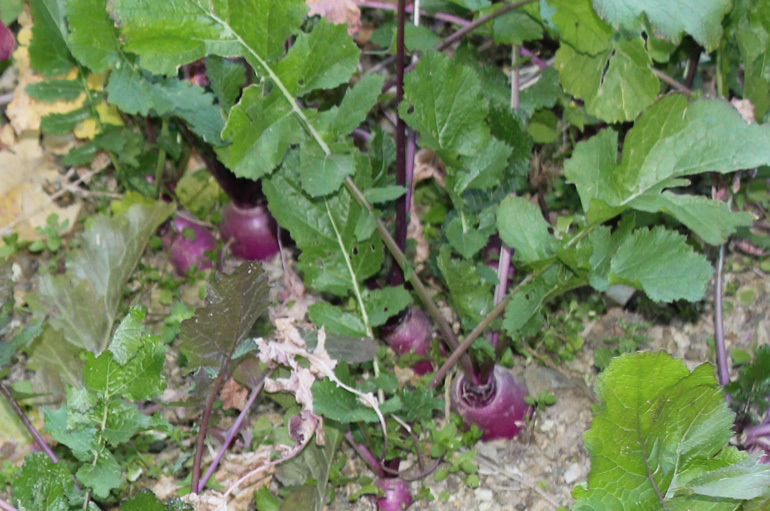 Small turnips can be harvested by simple hand pulling, but the larger ones require slight tilling before they can be pulled out. The bulbous root matures in about 2 months and grows best around 60 F, the reason why early spring and fall crops are favoured. 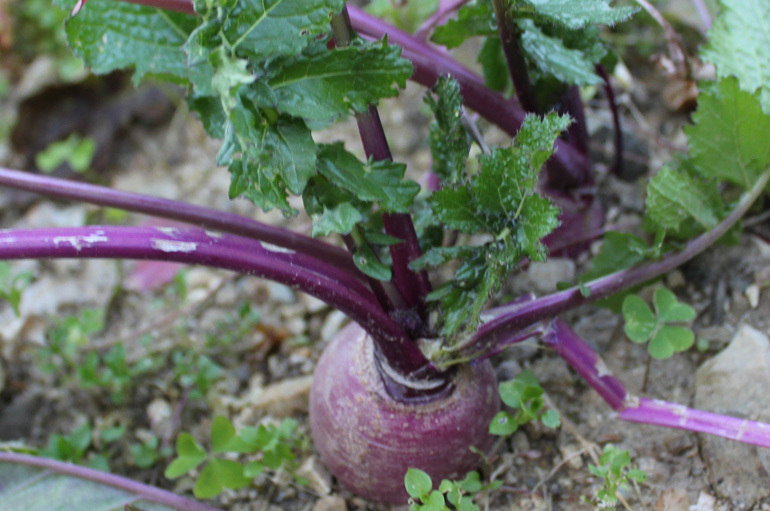 Turnips, a root vegetable are member of the cruciferae family. It is the same family to which cabbage, kale and broccoli (genus Brassica) belong to. The green tops on turnips bring with them endless culinary possibilities and a whole lot of nutrition in form of beta carotene, vitamin K, calcium and vitamin A.
Turnips are hardy, cold-weather vegetables that have ability to grow in wide range of climates and conditions. That speaks a lot about their adaptability. Possibly this might be the reason why NASA choose turnip to be part of its mission on moon, I wonder!